The Season 7 finale of The Walking Dead, “The First Day of the Rest of Your Life,” is not the end that some had hoped for, but rather the beginning of a new chapter. Director Greg Nicotero and writers Scott M. Gimple, Angela Kang, and Matthew Negrete take the viewer on a twisted path following a series of reveals, with an emotional ending that feels satisfying. “The First Day of the Rest of Your Life” looks back of the season and the series, yet the story leads to a new beginning— the start of a war we can expect to play out in Season 8 of The Walking Dead. There were some great plot twists in “The First Day of the Rest of Your Life.” Just when you think Alexandria has had it, Negan opens a coffin and Sasha, even in death, offers her friends a chance at life. Later, when the Alexandrians are finally overcome in battle and Negan starts to take a swing at Carl, the tiger Shiva surprises everyone. Watching Shiva attack the Saviors may have been the best thing we’ve seen on The Walking Dead since Carol single-handedly took down Terminus. “The First Day of the Rest of Your Life” brings together key plot points from the second half of Season 7. The significance of Eugene’s poison pills is revealed, and it becomes clear why Sasha needed to live beyond her initial attack on the Sanctuary. Maggie becomes established as a leader at the Hilltop and goes against Rick’s advice to stay away from Alexandria. 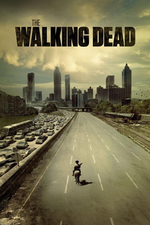 Carol and Morgan overcome their concerns about killing and join Ezekiel and the Kingdom in their defense of Alexandria. It is only through these allies, and Sasha’s self-sacrifice, that Alexandria survives. Of course, not all their choices in allies worked out so well, because it turns out that Jadis was the “little birdie” who told Negan that Rick was up to no good. “The decision was made a long time ago, before any of us knew each other. We were all strangers who would’ve just passed each other on the street before the world ended. And now we mean everything to each other. Yes, there are moments that require the suspension of disbelief. It seems like more Alexandrians should have died in the battle, particularly since the Trash Heap people were holding guns on them, but we’ve already had our fill of death and torture this season so we’re not complaining. Rick standing helpless as Jadis held a gun on him, while all the fighting was going on around him, seemed strangely passive. Even if he couldn’t grab her gun, couldn’t anyone from Alexandria have tried to her shoot her while the fighting was going on? Perhaps they were too busy keeping themselves safe. And when the fighting was going on, why didn’t Dwight take an opportunity to just kill Negan himself? Who was he shooting at during the fight? Even if it’s unclear who Dwight is killing, Shiva is surprisingly good at only attacking Saviors. She must be able to sense evil. All of that can be put aside, but what seemed the most incongruent was how passive Rick was about Negan killing Carl. Sure, Rick had just heard what sounded like Michonne dying, but this is his son, after all. It seems like Rick would have begged or fought to try to save Carl. Instead, Rick threatens Negan: “You can do it right in front of me. You can take my hands. I told you already. I’m gonna kill you. Maybe not today, maybe not tomorrow, but nothing—nothing is going to change that. You’re all already dead.” If it weren’t for Shiva’s well-timed entrance, it’s Carl that would be dead. These momentary lapses were distracting, but didn’t take away from “The First Day of the Rest of Your Life” being a very satisfying and exciting episode. There are some great lines by Negan (“The widow is alive, guns a-blazing!”), Ezekiel (“The Saviors are a dragon with many heads and numbers legion”), Abraham (“Ending the day in a wetsuit? It’s like sandblasting your nutsack every single step you take back to the car”), and Eugene (“I come armed with two barrels of the truth. A test is upon you and I’m giving out the cheat sheet”). It felt good to get a win, even if it wasn’t the win Rick was hoping for. Dwight has come to Alexandria in order to help take down Negan. Daryl and Tara want to kill Dwight for the death of Dr. Denise, but Dwight is able to convince Daryl he has something to offer. Dwight warns them that Negan is coming the next day, but offers to delay him with trees in the road in order to give Rick more time to prepare. Dwight’s plan for A lexandria to kill Negan and the invading Saviors then go back and take the Sanctuary is blown when it turns out Rick’s so-called allies are working with Negan. After the battle, Dwight leaves a message for Daryl on a carved soldier indicating he didn’t know about the double cross. If Rick and Daryl decide to trust him, Dwight may continue to serve as a double agent in the upcoming war. Once Negan confirms that she will be used to hurt Alexandria, Sasha knows she must find a way to prevent it. As they head towards Alexandria, with Sasha stowed in a coffin for dramatic effect, she remembers the moments that led to this one. Her journey parallels that of her brother Tyreese, whose impending death led to visions of Beth, Lizzie, and the Governor. Sasha remembers the time she and Maggie watched the sunrise, just before they met Aaron and learned about Alexandria. Maggie symbolizes hope for a better future because of her pregnancy. The memory is also meaningful in that it’s a moment between two friends who have only grown closer since that time. Sasha recalls her conversation with Abraham before leaving to take Maggie to the Hilltop. She wanted Abraham to sit this one out after having a dream that he drowned. Abraham reminds Sasha, “We lay our big meaties across the chopping block ahead of someone else’s. It’s always for someone else.” Abraham was the first to offer himself up when Negan demanded a sacrifice. Sasha recalls Abraham telling her, “It’s always for someone else. Both of us know if we’re gonna kick, there sure as hell better be a point to it. So maybe there was a point to all of this.” It’s the thought of Abraham that gives her the resolve she needs as she prepares for her sacrifice. We also see moments between Eugene and Sasha at the Sanctuary. Eugene tells Sasha, “If people die today it’s because of the choices they make.” She agrees, already knowing she’s decided to die to try to protect her friends. Eugene gives her a first-generation iPod which allows her to listen to “Someday We’ll all Be Free” by Donny Hathaway as she lies in the coffin. She tells Eugene that she hadn’t given up on him yet, that he can still measure up. Perhaps that moment is in Eugene’s future. Not only does Sasha keep Negan from using her against Alexandria, she becomes a weaponized walker by taking Eugene’s poison pill. When Negan opens the casket to show Rick that Sasha is alive, walker Sasha attacks him. “The First Day of the Rest of Your Life” gives Sasha a heroic death, allowing the Alexandrians the opportunity to fight. “The First Day of the Rest of Your Life” keeps the body count low, in terms of characters we care about. Series producers have claimed that viewer reactions have no impact on the story they decide to tell. During Season 6 and most of Season 7, The Walking Dead seemed to approach the viewer as an adversary that needed to be deceived and traumatized. There is certainly an audience for this approach, but it may not be the right fit for the majority of a mainstream audience of 12 million. If it is true that producers ignore how viewers feel about their story choices, it’s not a great way to treat a fandom, but more than that, it may not be the best way to keep an audience. Let’s hope that the thoughtful approach to Sasha’s death signals a return to character-driven drama in The Walking Dead. The technical aspects of “The First Day of the Rest of Your Life” were impressive, with a massive fight scene that includes dozens of people, horses, and an animated tiger. The moments of action were enthralling, yet felt very real. There were fantastic moments such as the Trash Heap people showing up in garbage trucks and bicycles, Sasha traveling inside a coffin, horses charging through Alexandria, and a tiger attack. The episode had an epic feel, while the emotional content kept it grounded. Season 7 of The Walking Dead concludes with an action-packed episode that ends on an optimistic note. Ezekiel’s moving battle cry, “Alexandria will not fall, not on this day,” echoes a new day in how communities can connect with each other moving forward. Helping each other instead of exploiting each other,can create a new future in The Walking Dead. But first they’ll have to live through this war. Though the start of Season 7 may have focused on death and trauma, the season finale “The First Day of the Rest of Your Life” is about life and human connection. We’re eager to see what Season 8 of The Walking Dead will bring. I could ALMOST look past Rick being passive about Carl if just because it didn’t seem like he wanted to show any weakness or appear vulnerable again. He’s probably thinking how he was crying and sniffling way back when, but things have changed. That or Rick realized that his son has very thick plot armor.